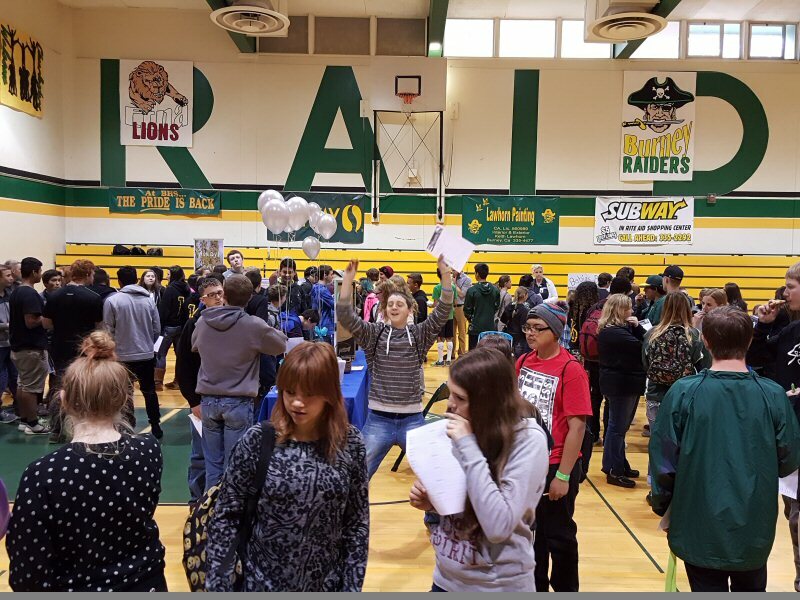 On April 22, Mayers Memorial Hospital District hosted the first of their three Health Career Days at Burney High School. Mayers staff were present representing over 15 departments. Mountain Valleys Health Centers also participated. 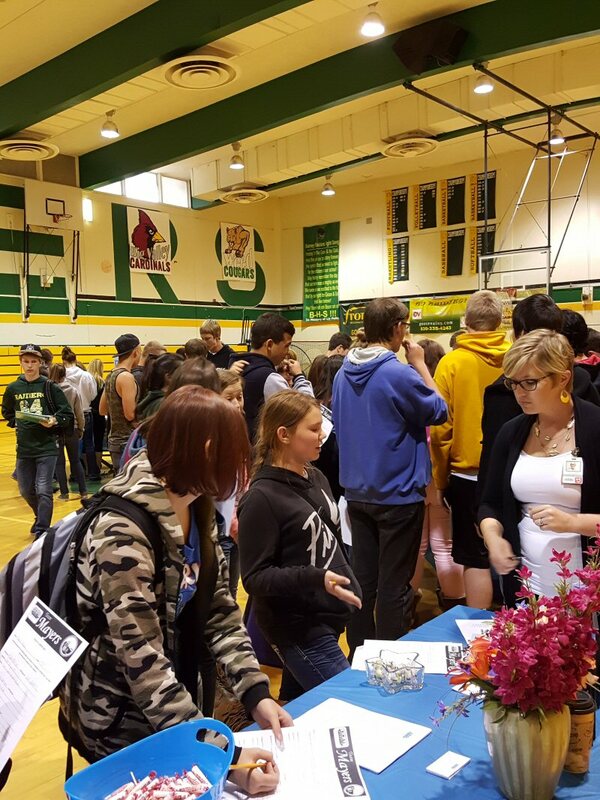 The entire student body was involved in the program and talked to staff to learn about the variety of employment options in the healthcare field. Organizers Val Lakey, Director of Public Relations and Libby Mee, Director of Human Resources said the event was intended to show student the many jobs available with varying degrees of education and qualifications. For example, a student can take a phlebotomist program and complete it in as little as 12 weeks, an EMT can complete training in 6 montha, a Listened Vocational Nurse can finish schooling in 18 months and a physician takes many, many years. “We want to show our students there are a lot of opportunities, clinical and non-clinical. There are careers in Medical Records, Administration, Nutrition and IT,” said Lakey. Mayers employees over 250 people and offers a wide variety of career options. “We want to grown our own and show local students it is an option to return to our community to work,” Mee noted. Education needed college prep and beyond. Students were required to ask questions in order to be able to participate in a drawing. Other events are scheduled for May 20 at Fall River High School and May 25 at Big Valley High School.